So according to the theory by Simon Nicholson (1971), a greater variety of objects and materials to hand will multiply the possibilities for play potential - with the child being stimulated in a variety and combination of ways. Loose parts are materials that can be moved, carried, combined, redesigned, lined up, and taken apart and put back together in multiple ways. They are materials with no specific set of directions that can be used alone or combined with other materials. Examples of loose parts are: tree logs, fabric, suitcases, tree slices, twigs, dress up items, guttering, sticks, tyres, hoops, planks, chairs, crates, rope, stones, pallets, sand, pegs, boxes. The following video clip shows how just a few loose parts can engage children in creative, cooperative and imaginative play for over an hour! (the clip is only a minute long don’t worry) How many areas of learning can you observe in this one free play session? Loose parts play is not just for Early Years. The learning and more importantly the enjoyment that can be had from loose parts play does not need to stop in the early years. Many schools around the country have introduced loose parts play from nursery up to year 6 with very positive results as the video you will see later shows. The following clip is of some year 2 boys who collaborated to make a challenging obstacle course. - Statistics show that the level of playground accidents that occur when using loose parts actually decreases when compared with more traditional style playground settings. However, the perceived risk of injury by the adults usually increases with the introduction of loose parts. - It is advisable to have some safety guidelines for using loose parts. A generic example is provided on the Playwork Partnerships website. - Children should be taught how to handle loose parts safely before allowed to use them. Eg. When handling bricks to carry one at a time and place them on the ground rather than dropping them. When carrying long planks or sticks to ensure that two children assist and that they warn others to move out the way. - It is important for children to take responsibility for themselves when playing outdoors. Getting children to create their own rules in play is a good way of developing risk management skills and independence. - Alongside written risk-benefit assessments adults on duty also need to engage in dynamic risk-benefit assessment . This simply means the minute-by-minute observations and potential interventions by adults should the play become too risky and dangerous. However, unless there is immediate and serious danger it is generally more beneficial for adults to stand back as much as possible to allow children the space to self manage the risks and therefore optimise their learning. Children are usually pretty good at determining their own limits and capabilities. 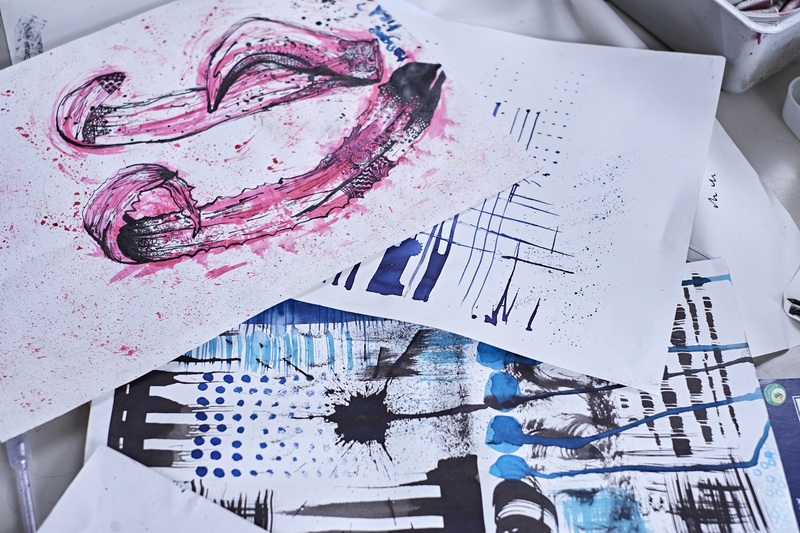 "The imaginative activity that accompanies messing about with loose materials forms the basis of creative and resourceful thinking in the arts and sciences. Negotiating changing situations, assessing and managing risk and enjoying the sheer physicality of the outdoors, all promote a sense of well-being and confidence that stands us in good stead for the challenges of an unpredictable future." -- Julie Wilson. Education Scotland. 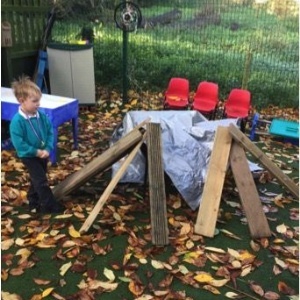 Outdoor Learning extract from ‘This place is like a building site’: a report on the introduction of loose materials to three primary schools in North Lanarkshire.